An increase in injury crashes on rural roads has led to the publication of updated speed limit guidance for local authorities. 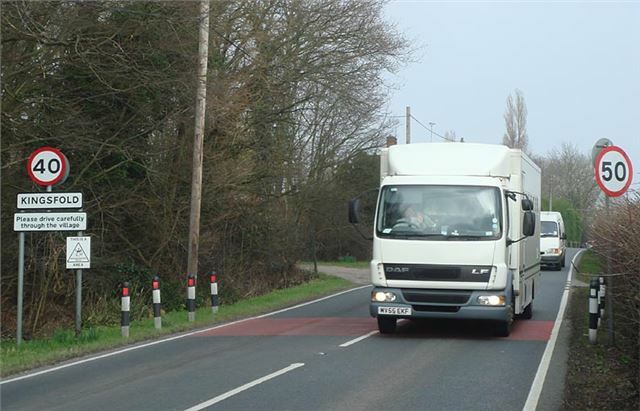 Released "for consultation", the guidance provides up-to-date advice to aid greater consistency of speed limits on local roads across England. It incorporates recent changes that have increased flexibility for local authorities to implement 20mph limits and zones where it can be shown that they benefit road safety and quality of life. It also gives authorities more information about the new speed limit appraisal web tool which will help authorities fully assess the impact of any change to a speed limit in their area. "It is vital that speed limits are suitable for local conditions and councils are best placed to determine what these limits are, based on local knowledge and the views of the community. "To help, we are publishing updated guidance for consultation. This includes a number of initiatives we have introduced to improve road safety, including making it easier for local authorities and communities to put in place 20 mph schemes, or use common-sense measures such as variable speed limits outside schools. "Road safety is a top priority and the guidance - along with the speed limit appraisal web tool - will help councils make evidence based decisions to introduce local speed limits that reflect the needs of all road users." The revision of the guidance and the introduction of an economic tool to help authorities assess the full costs and benefits of any proposed schemes were a commitment in the Department for Transport's Strategic Framework for Road Safety published last year. The guidance is aimed at local authorities in England. The final guidance, after "Consultation" is expected to be published by the end of 2012. The web tool, also to be launched later this year, is being developed with input from road safety groups and local authorities.